This week has been very busy, had been to my mother's place, so did not do much cooking except for the pongal for the festival. 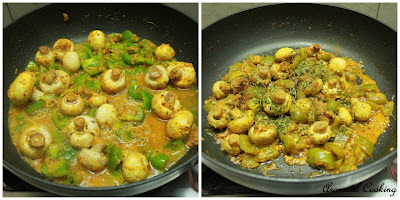 Last week, I had made this Mushroom Capsicum Masala, for dinner. I had a pack of mushrooms and a capsicum but no tomatoes, so instead I used a little yogurt in the dish and flavored it with kasuri methi/dried fenugreek leaves. 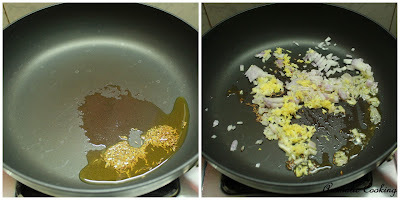 It turned out really very tasty, a perfect combination for rotis, naans or any type of bread..
Saute for about 3 minutes, till the raw smell of ginger and garlic goes away. 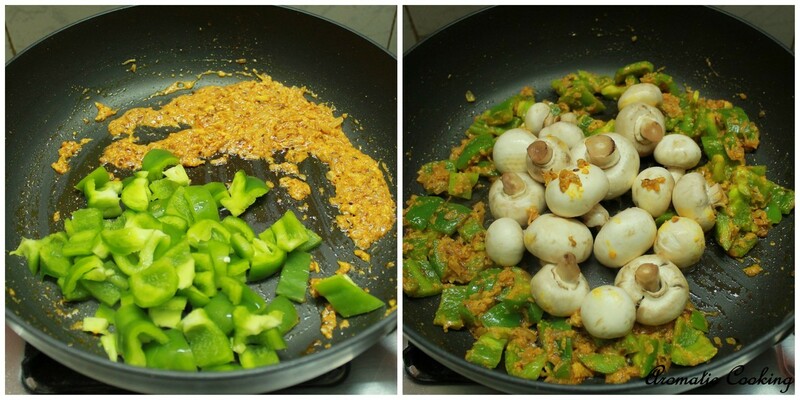 Add the turmeric, chilly and coriander powders, mix it. Add 2 tablespoons of the curd, mix for a minute, till it blends with onions, then add the remaining 2 tablespoons, mix again for a minute. 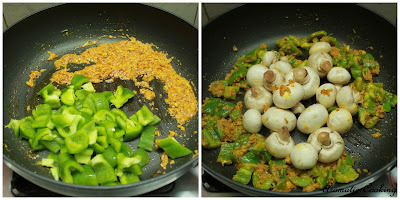 Now add the capsicum pieces, saute for a minute, then add the mushroom pieces and mix everything. Add about 1/2 cup of water and salt, cover and cook for 5 minutes in reduced heat, till the mushrooms are cooked. Finally add the garam masala and kasuri methi, mix for another minute. Serve it warm with any bread of your choice. 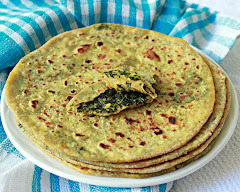 Kasuri methi is available in Indian grocery store. 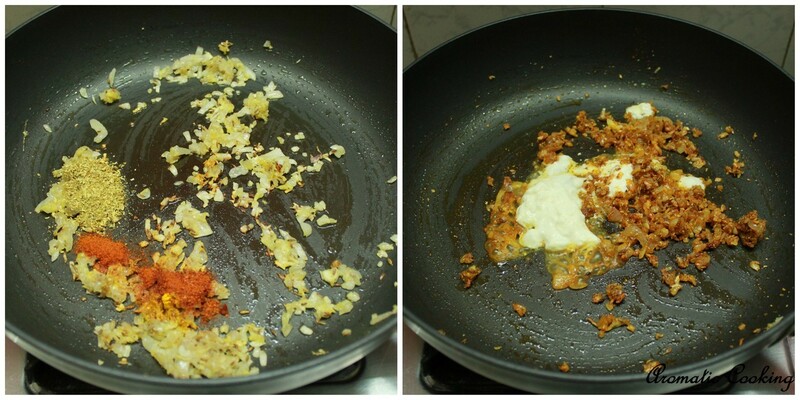 If the final dish is too dry, just sprinkle some more water. When the mushrooms get cooked they shrink in size. 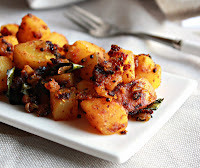 Totally drooling here ....would love to have this with butter naan !! That looks incredibly delicious Hema! I am sure its a gr8 combo!! Nice combo, curry looks so delicious. Omg, wat a droolworthy combo,makes me hungry. Curry looks very delicious and yummy! 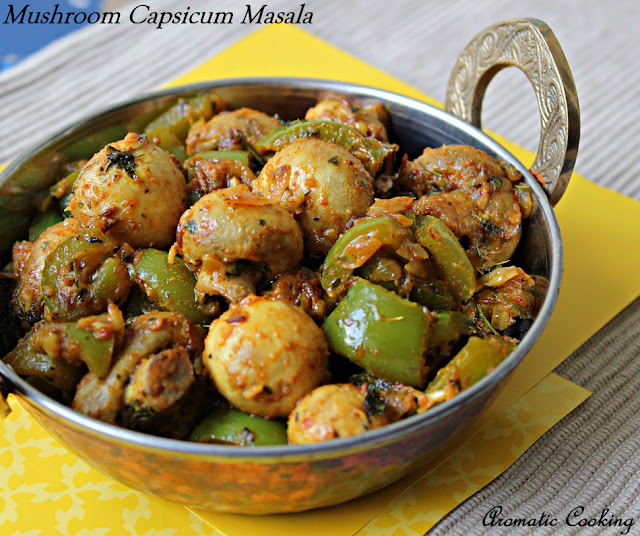 a unique combo dear.. never tried it before..
Mushroom capsicum is my all time fav and can have it anytime. Lovely! 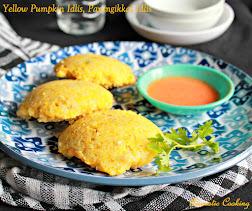 love this combo, curry sounds spicy n yummy...great combo with phulkas! 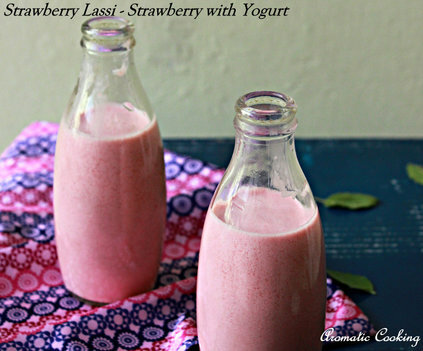 My God,this looks super exotic and tempting Hema...Loved the entire concept and nice melange of flavors..
Nice combo. Loved it! Looks delicious. That can be my meal for the day. Tempting mushrooms. 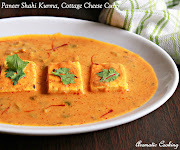 It was excellent.. the curd tasted and smelled amazing with the mushroom and capsicum..thank you very much! I just found your site and am still looking around. I appreciate this recipe. 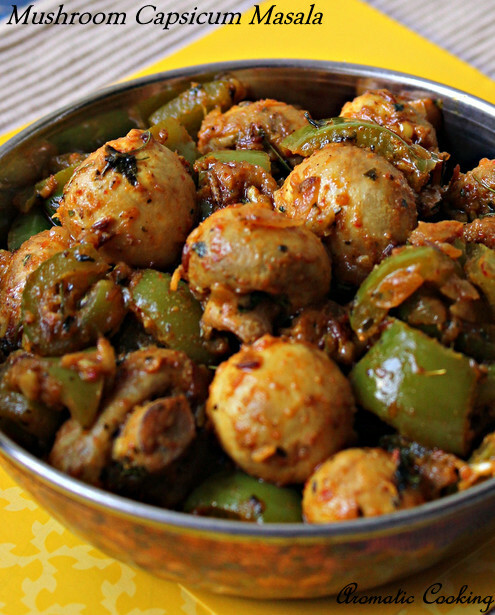 Only this week I was wondering why I never see a curry recipe with mushrooms. Now I have!